Whatever way it comes, scoring points is vital in Formula 1 and for a driver new to Grand Prix racing even more important. Races such as last weekend’s chaotic GP at Baku, beside the Caspian Sea in Azerbaijan, offered the kind of opportunity that drivers who are normally expected to be at the bottom end of the grid can relish. Extreme good fortune brought Lewis Hamilton his first win of the year. Likewise, the elimination of two Red Bulls and, at the very end, Bottas’s Mercedes was enough to elevate Charles Leclerc to a very well deserved 6th place and the 8 championship points that came with it. Marcus Ericsson who had scored pointsin Bahrain was very nearly in the top 10 again but had to be satisfied with 11th place after a more troubled race. In their race repoirt Autosport had two drivers with 10 out 10 scores, third placed Sergio Perez and Charles Leclerc saying “from Friday practice in which he set eye-catching long run pace, Leclerc had his first exceptional GP weekend in Baku. 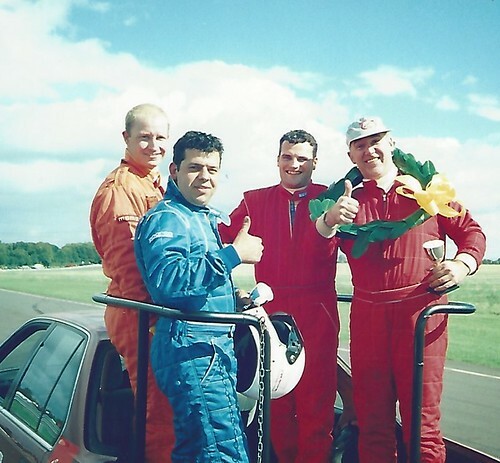 Sixth place was a just reward for such an accomplished performance, in which he blended speed with keeping his head while others were making mistakes”. Everyone now moves to Barcelona in just over a week’s time. Just as we went to press came news came that Sauber’s Technical Director, Jorg Zander, had left the team with immediate effect. Zander re-joined Sauber when Audi closed their WEC programme but had previously been at Brawn (in Jenson Button’s championship year) and Williams. No reason was given for his departure and team principal Frederic Vasseur announced that he will be taking over Zander’s role for the time being. As I did not go to Anglesey, I was able to watch the whole Channel 4 Grand Prix programme from the comfort of my own sofa and concluded that this is the kind of circuit that should be more available for Formula One, replacing those where all that happens after an error of judgement is a run across a large expanse of tarmac before re-joining the track. There are wide parts of the Baku circuit where overtaking is possible, unlike at Monaco where passing another car can take forever, if it happens at all. Baku only has two years of its current contract left to run – I hope that Liberty Media are able to negotiate a new deal. 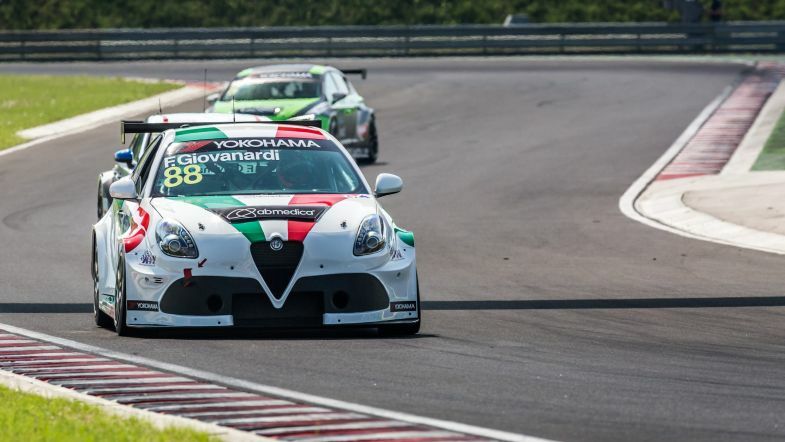 It seems that the Romeo Ferraris built Giuliettas are just not competitive at present in World TCR – that is if the latest races on the Hungaroring ar anything to go by. Mulsanne Racing also had to suffer the unacceptable when Fabrizio Giovanardi hit team mate Gianni Morbidelli in race 2 and was given a 30” penalty. Hyundai, VW, Honda and Peugeot are fighting it out at the front at present and we can but hope that Romeo Ferraris will get to the bottom of their cars lack of pace. However, they will be helped by changes to the Balance of Performance rules before the next three races at the Nurburgring that include a 20kg minimum weight drop and an increase in power allowed. TCR Italy also got underway last weekend at Imola with a 26 car entry including Gigi Ferrara in a lone V Action Racing run Giulietta. Ferrara turned WTCR form book on its head by taking two excellent wins, the second from the fourth row of the reversed grid and including some nifty overtaking moves before the Alfa snatched the lead from Andrea Larini’s Cupra. One interesting development was the appearance of a Tecnodom Sport prepared Fiat Tipo, using the same engine as the Giulietta. It ran quite competitively just behind the leading group. The TCR Italy races are shown in full on the TCR website. After a relatively successful opening meeting at Brands Hatch, with a podium, 26 points and fourth place in the table to celebrate, it was down to earth with a bump at Donington last weekend. 11th place in race 3 was the best that Rob Austin could muster and the meagre 6 points accrued from the weekend meant that he dropped down to 9th. 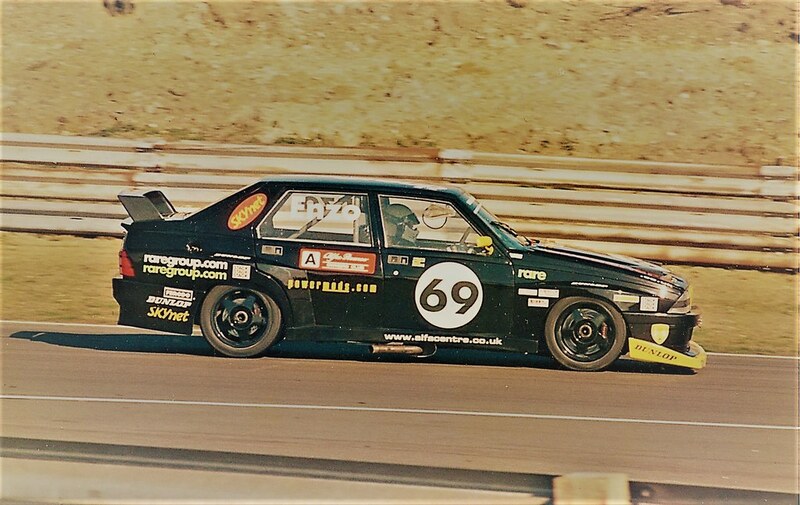 Watching the excellent ITV coverage, I realised how difficult it is to recognise most of the cars in the BTCC. The Giulietta, however, is a notable exception in that you can always spot the Alfa grille in amongst a group of other makes. 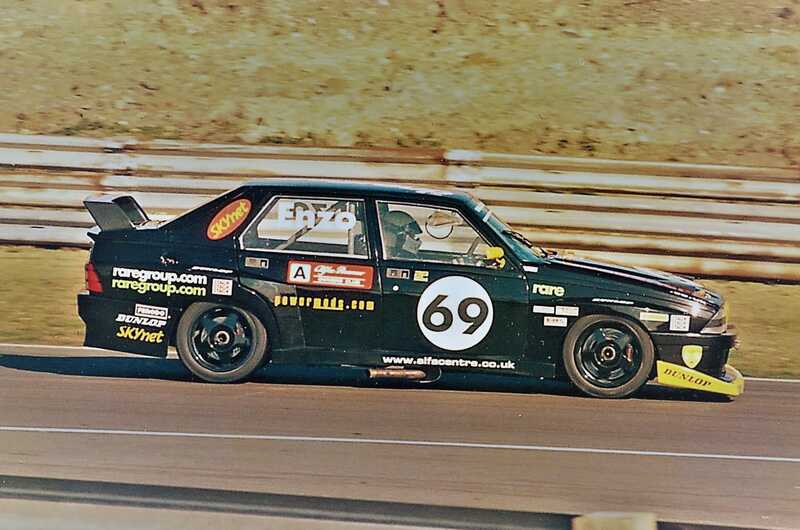 Occasionally a new livery makes a big impression and this was certainly the case at Silverstone over Easter when Andrew Fulcher’s 147 appeared with a “wrap” from his new sponsor “Filippo Berio Olive Oil”. However, this was only part of the story. Company UK MD Walter Zanre used to attend races in the 80s and watch John Dooley race the Napolina Alfasud Ti, the 147 is probably its spiritual successor. Seeing the continued exposure they have with Historic Alfas today, he thought it would be nice to have “Filippo Berio” out there, even if in a limited way. A quick idea to have a toe in the water came in the shape of Andrew’s car, Filippo Berio being a customer of Lenham Storage, where he is Operations Director. 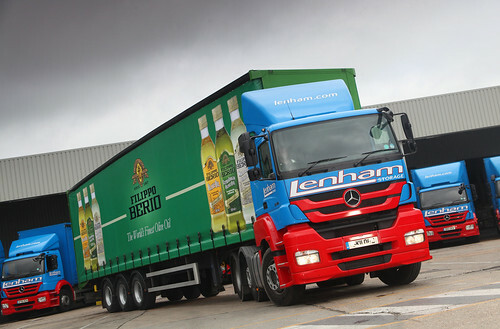 Lenham Storage undertake storage and distribution for Filippo Berio in the UK. 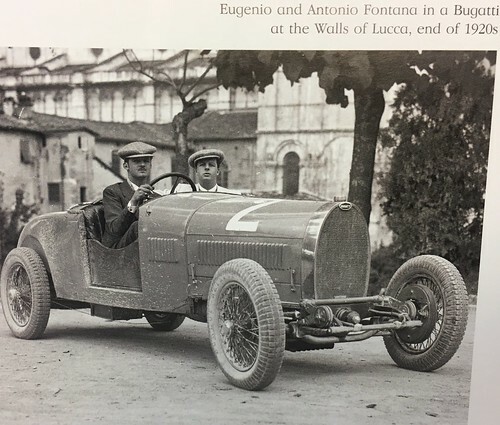 More than that, though, the Fontana family who had founded SALOV with Filippo Berio’s daughter Albertina in 1919 to carry on the seventy year old business had had a love of motor racing and in the 20s and 30s, Eugenio Fontana raced regularly in an OM, a Bugatti and various Alfa Romeos. “He was born in 1908 and at 16 started to race cars” combining his work in the olive oil business with as many races as possible at weekends. “He raced Bugatti, Maserati and Alfa Romeo cars and in those years even a gentleman like him could race with the great racing car drivers and compete in the most famous races. Then in 1939 he married, the war started” and at the end of hostilities he had two sons, Dino and Luigi. In 1954, at the age of 47 he competed in his last race, the Tour of Tuscany with a Lancia Aurelia sportscar. My mother, I remember, as if it was yesterday, wanted a divorce and he said: I am a crazy man with two small sons and my wife is expecting for the third time but he also said 1’ll do it! After this last race, he stopped and his record on the Massarossa Lucca is still unbeaten. Car racing was forbidden to us children, we did some but secretly. My father was very strict but he always gave is beautiful cars and he used to say Kids you are small time racing car drivers and you make me laugh. My father died at the age of 81 and still had a Ferrari in his garage”. Eugenio’s most successful race was probably the Coppa Ciano when it was run on a daunting 20km long Montenero circuit near Livorno in which he competed on several occasions. The 1930 edition saw him at the wheel of an OM with the likes of Tazio Nuvolari, Luigi Fagioli and Giuseppe Campari in the entry. He completed the first lap in 17th place but gradually climbed up the order until he was 10th on lap 5, 6th on lap 8 and finally 5th behind Fagioli, Campari, Aymo Maggi and Borzacchini. 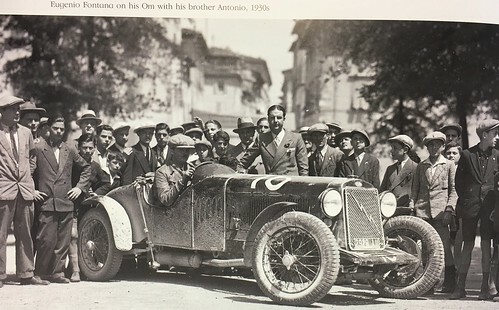 In 1935 he raced a 2300 Monza into 8th place and is recognised in Angela Cherrett’s prize winning book on the 8C. I always love black and white pictures from that era showing drivers surrounded by family, friends and supporters at the end of each race. 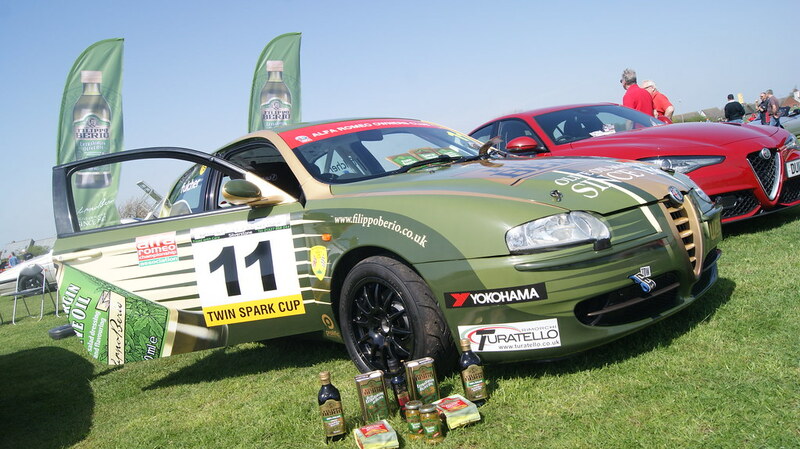 After going on display at the AROC’s Spring Alfa Day at Duxford, we look forward to seeing Andrew Fulcher’s 147 on track again soon, although his truck racing involvement may mean that it is not until, maybe, Festival Italia Brands in August. We look forward to continuing the story. Do you have a spare £240 looking for a good home? (I don’t!). 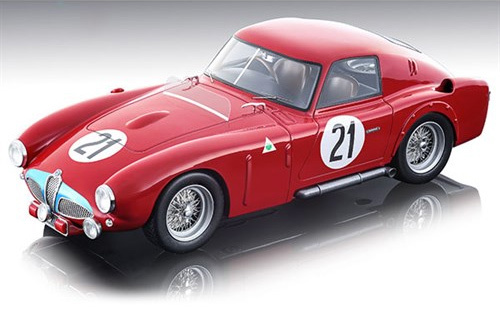 If you are collector of high quality model Alfas you could do worse than spend it on one of the 6C 3000CMs that are about to be released by Tecnomodel. It comes in various versions – the car with which Juan Manuel Fangio finished second in the Mille Miglia that year or the three cars that ran at Le Mans driven by Fangio and Onofre Marimon, Karl Kling/Fritz Reiss, Conalvo Sanesi/Piero Carini, none of them finishing the race. The models are available to order through www.diecastlegends.com or by visiting St.Martins Models, 15 Cecil Court, London WC2N 4EZ. And if the 3000CM doesn’t interest you, various examples the TZ2 have also been produced in the same scale by Tecnomodel. You never know when the subject of the Alfa Championship is going to raise its head when you least expect it. 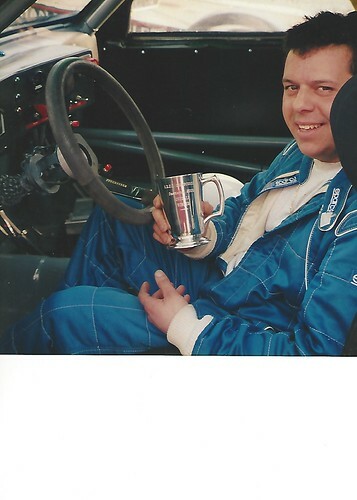 I was sitting quietly having fish and chips in one of my favourite Cambridge pubs, the “The Old Spring” the other night when the manager came across and said “Weren’t you involved in Alfa Romeo racing?”. “Still am” I replied. 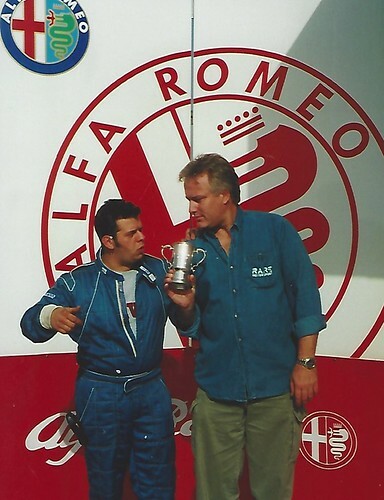 His name is Robert Conquest, and it transpired that he spent some time in 1999/2000 with Julian Birley and Enzo Buscaglia at R.A.R.E Motorsport. 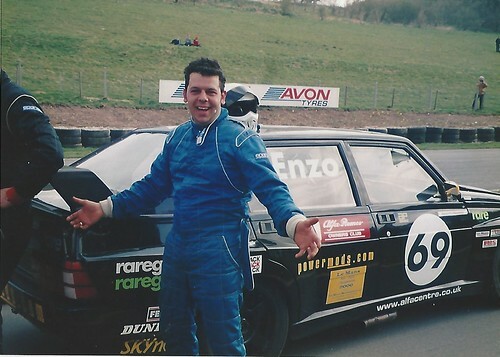 2000 was the year that Enzo won the championship title at the wheel of Julian’s black and yellow 75 3 litre, taking 12 wins from 14 races against the likes of Graham Presley (75 1.8 Turbo), Andy Page (Giulietta turbo) and Dave Streather (33 16v). Julian took over the car after that and Enzo involved himself with a kart track and school which I believe he still does today. So what have we got to look forward to – as already mentioned, the Spanish GP takes places on the Circuit of Catalunya between May 11th/13th. The same weekend sees the World TCR at the Nurburgring while TCR UK goes up to Knockhill on May 12th/13th, apparently to be run in the reverse direction.